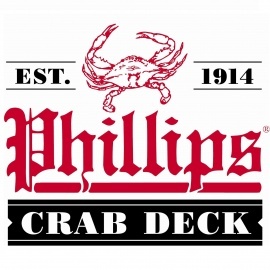 Perched out into the Baltimore harbor on an overwater dock, the Phillips Crab Deck is a can't-miss Maryland dining adventure that delivers a menu of Eastern Shore favorites. If you've come to the deck to feast on steaming hot hard shells, we've got you covered with the best catch from our community of watermen. Our visitors love watching the action of our steaming station, where the live crabs are sorted for size and prepared fresh to order. Let our experienced shuckers tempt you with a rotating selection of fresh oysters and clams from our local waters. 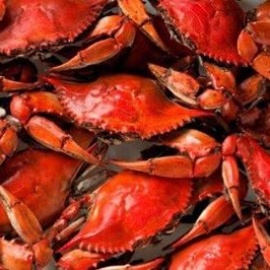 Our Steam Buckets, overflowing with a feast of freshly steamed seafood, have become a real guest favorite-- dig in! And, of course, we wouldn't be Phillips without our classic Ocean City crab cakes, pan sauteed until golden brown.